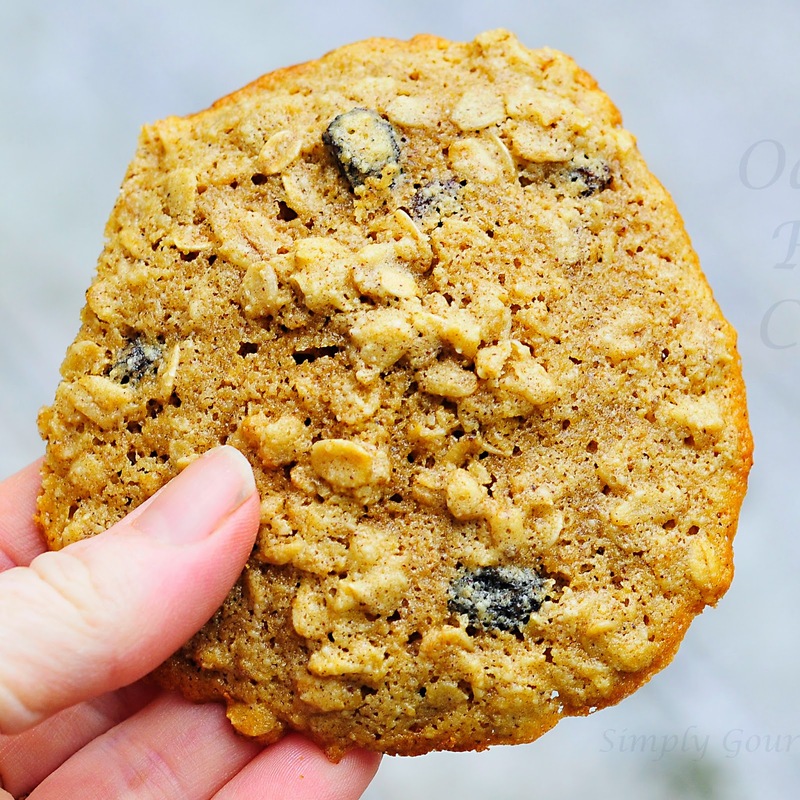 Oatmeal Raisin Cookies remind me of my childhood. Why? I don't know they just do. Maybe it's the smell of them baking in the oven or the texture of the cookie itself. 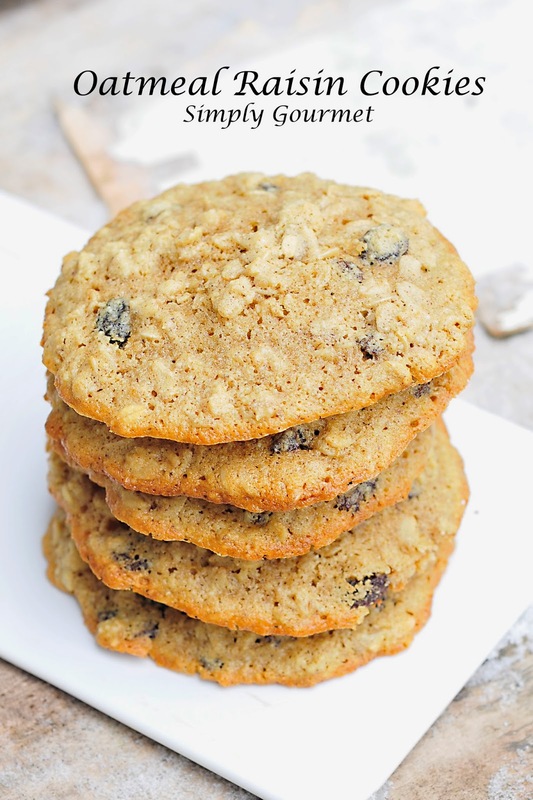 Something sends me back to my youth when I make this cookie. The memory is there but I can't put my finger on it. I notice the older I get those early memories are fading. I feel their imprint on my soul but the details have been crowded out by new memories. At any rate this cookie is delicious. It does perform better when baked in a Whoopie Pie pan over spreading out on a cookie sheet. I bought this oddly shallow Whoopie Pie pan at Goodwill without fully understanding what it was. I Googled it and discovered the real purpose but I use it for a lot of different recipes. You can see from the picture below the difference. The thicker cookie is softer while the flatter cookie is soft in the center bus has crispy edges. You can make them how ever you want. Speaking of Whoopie Pies, Rye found a vending machine the other day that had them in two flavors. Her excitement was contagious. For her, this was one of her childhood memories. My heart melted as she bought the pie and shared it with Isabella in the back seat on our ride home. She carefully split the pie down the center and explained how she and Drake used to eat these when they were younger. Witnessing this whole exchange made my Mommy heart strings hum with love. To see the bonds between my kids grow is a tender moment. I am amazed when my kids share their memories with each other. They see their lives so differently than I see it from my Mom perspective and watchful eye as a caregiver. Joy only starts to express the feelings it sprouts in my being. My kids are everything to me but to see them being everything to each other is something completely breath taking in my mind. The seeds have been planted and they are growing. The memories are being made. I don't remember things from my childhood as clearly as I used to but I know these cookies played a special roll. I will have to ask my Mom to see if she might have a clue as to why this cookie stirs such emotion for me. 1. Preheat oven to 350 degrees. Line a cookie sheet with parchment or spray a Whoopie Pie pan with your favorite cooking spray. 2. Make sure to soak the raisins to hydrate them. This helps to add moisture to the cookie. 3. Combine all the ingredients into a large bowl and combine well. 4. 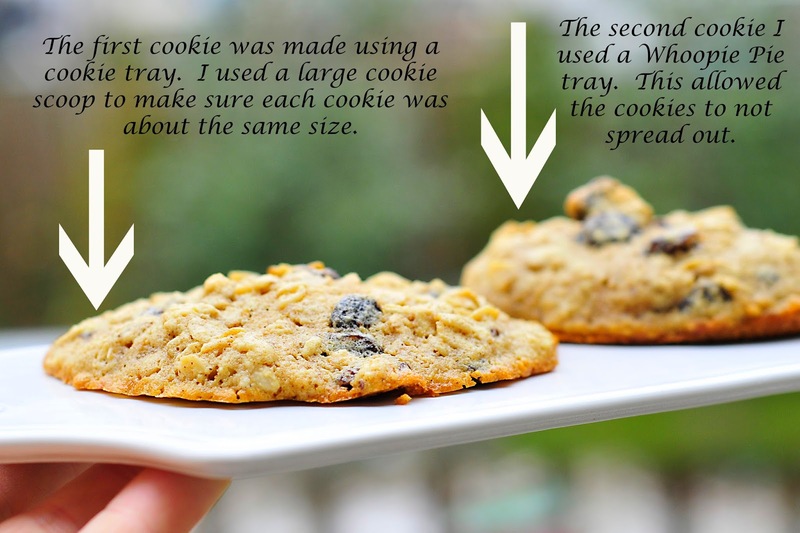 I use a large cookie scoop and usually get about 16 cookies. Bake cookies for 12-15 minutes or until cooked to your desire. NOTE: I make my own cashew flour in my Vitamix. If you don't have a Vitamix then you can try a food processor or a grain mill. I would also suggest a replacement flour would be almond meal or almond flour.